Lavender, snowflakes, flowers, and sparkles oh my! 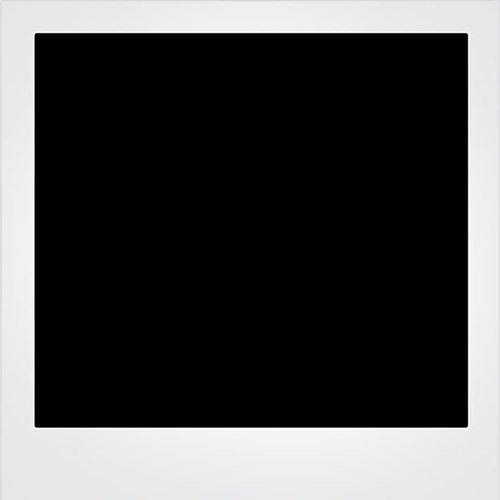 Do I have the sweetest little photo session to share with you…. and, this one is extra special because the soon-to-be Mommy is actually my great, great, great grandma…. (ha, in our sorority of course, silly!) I was so excited when she selected my “Milestones” package which includes a pre-baby session, newborn session, and choice of 6 months or 1 year photo session. 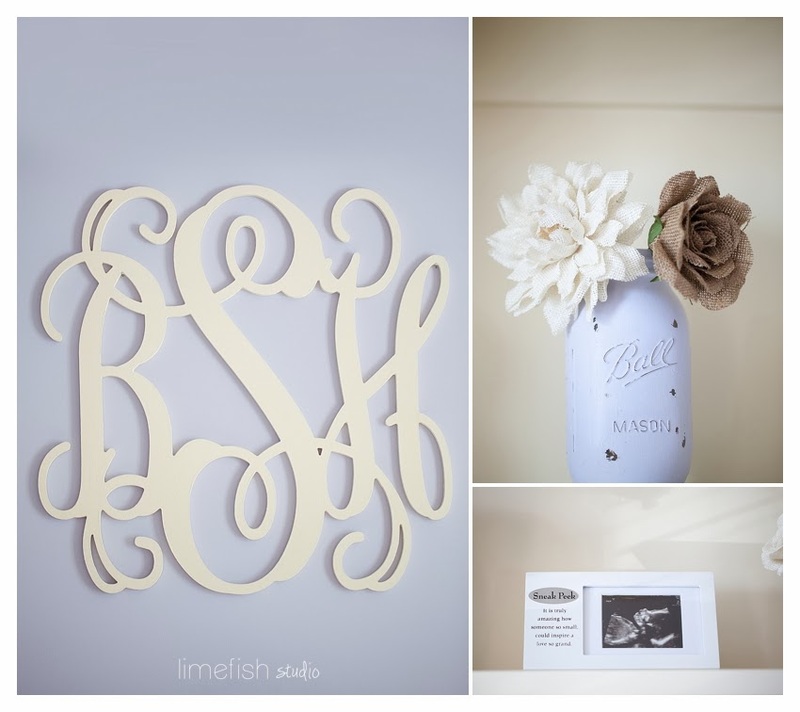 Here, you’ll find a few of my favorite photos with special details from the baby shower and from sweet little Brooke’s nursery. Her Mommy added the most beautiful details…. including a few of her own crafty creations ~ such as the amazing painted mason jars (which she sells in her etsy shop… wink wink). 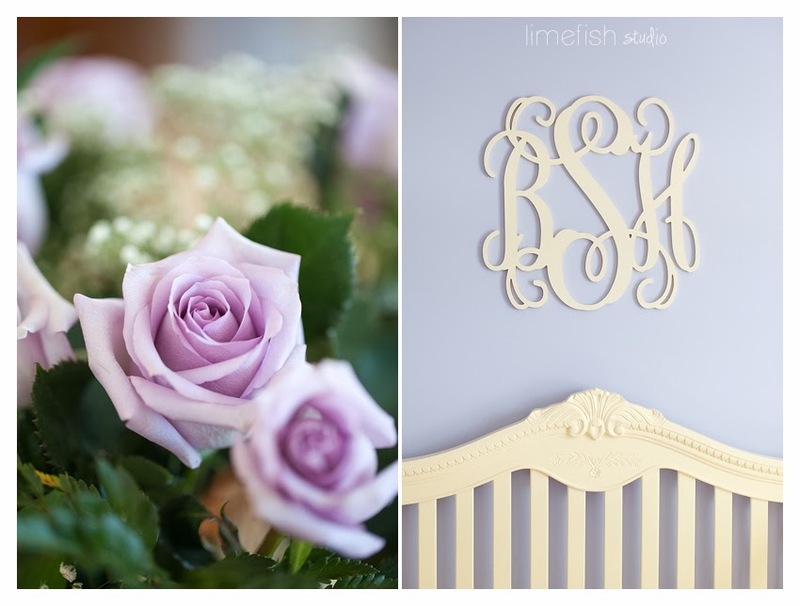 And, how beautiful are the lavender walls and monogram art (ordered from this etsy shop and then painted)!? 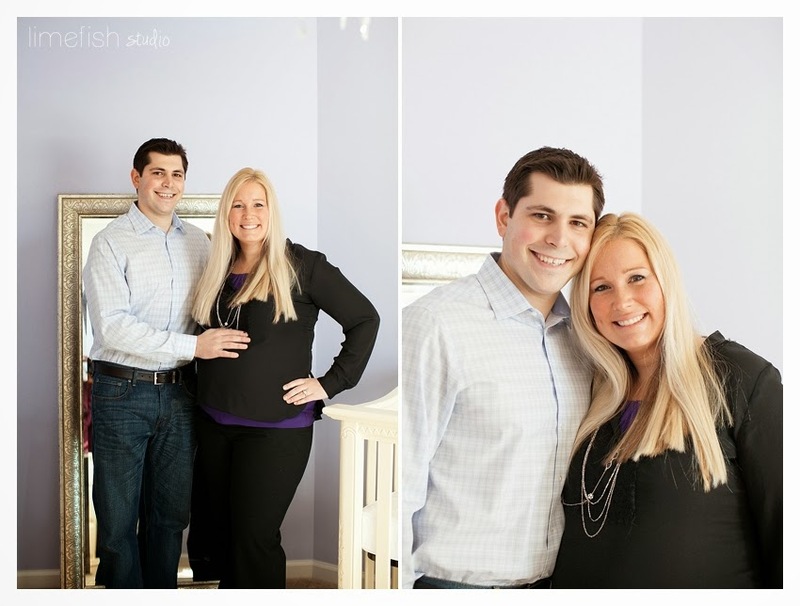 I made sure to steal a few photos of the sweet couple before Daddy snuck off to let the ladies enjoy the baby shower! Every little girl deserves a chandelier as incredible as this! Wow ~ and this mirror…..
Aren’t these little M&M favors precious? One of the games included guessing how many kisses were in the bottle…. too cute – as is this little pumpkin who joined the party! This photo makes my heart happy! mmmmmm…… these cupcakes were ordered from Cupcake Heaven and Cafe and not only were they beautiful, but super tasty too! CONGRATULATIONS to this sweet couple. I wish them all the best during this incredible time. I’m thrilled to say I’ll be visiting them again soon for Brooke’s newborn photos! YAY ~ I cannot wait!